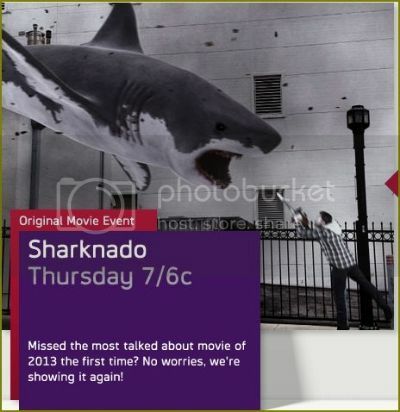 Campy movie “Sharknado” took Twitter by storm (no pun intended) when it aired on the Syfy channel Thursday. References to the movie – especially jokes -- flew by, clogging social media feeds, as images of sharks hurtled through the air, all part of a giant tornado terrorizing Los Angeles. NBC’s Mike Taibbi reports. Sharknado cast includes Tara Reid, Cassie Scerbo, Ian Ziering, John Heard, Chuck Hittinger, Aubrey Peeples, Jaason Simmons, Adrian Bustamante, Alex Arleo, Diane Chambers, David Bittick, Christopher Wolfe, Connor Weil, Marcus Choi, Sumiko Braun and Neil H. Berkow.